Andrew is from Old Tappan, New Jersey. He attended Old Tappan High School, where he played Ice Hockey and was a student manager for the baseball team. 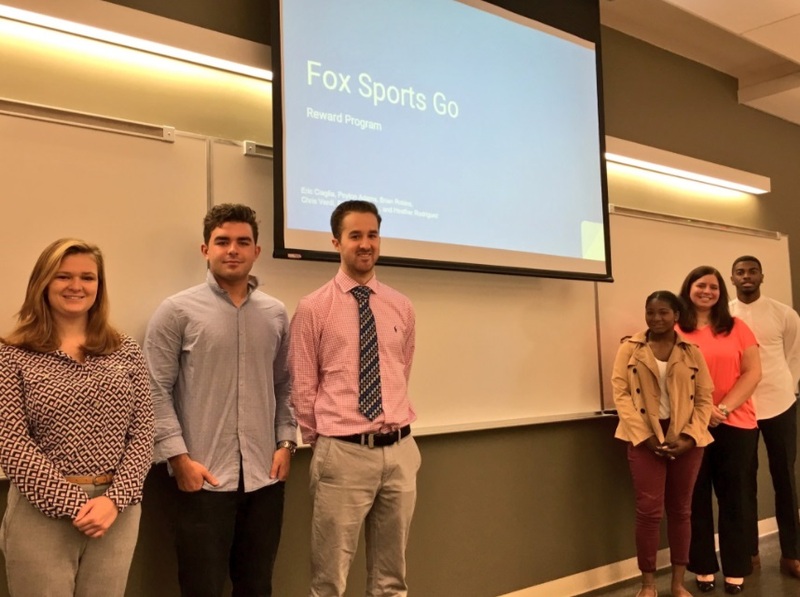 The Stillman School of Business at Seton Hall University, where he is a dual major in Marketing and Sports Management helped developed his passion for marketing and more specifically sports marketing. Andrew will graduate in 2018 with a Bachelor’s of Science in Business Administration. He has held internships with the New Jersey Devils, ABC Corporation, and the Seton Hall Athletic Department where he gained skills in marketing, sales, operations, and management. After he graduates, Andrew hopes to work within the business side of sports in either marketing, advertisement or event management. He is also a member of Seton Hall’s Ice Hockey team and is an avid sports fan. The Fox Sports University Program gave me real world experience that I will use and be able to learn from for the rest of my career. I loved working with Fox Sports because they did not hold us back. No idea was too big or too small for them. Everything we said they cared about and encouraged us to keep going. 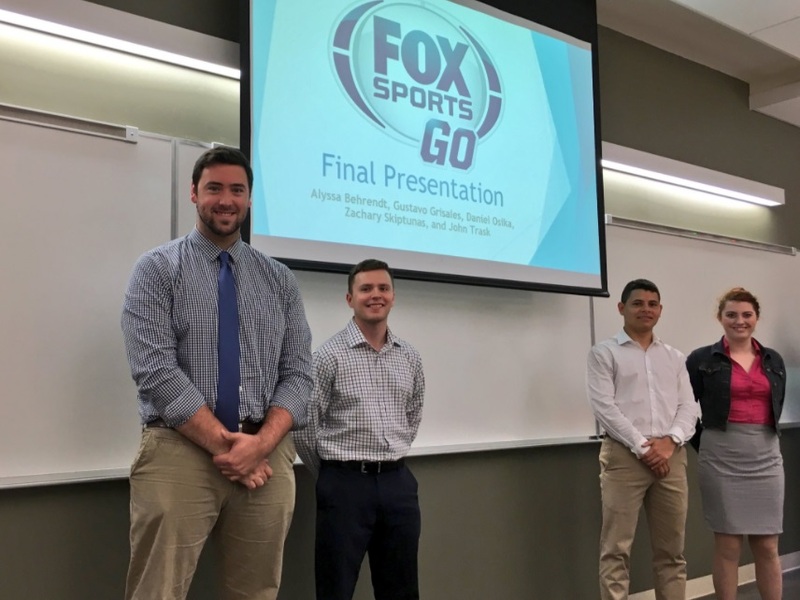 Being in a Sports Marketing class this project let me use my knowledge and skills to help develop new ideas for the Fox Sports GO app. This was a fun project that I enjoyed spending my free time on to try and develop the best idea possible. Darren Williams is a senior in the Stillman School of Business at Seton Hall University, graduating in May of 2018. Upon graduation, he will receive his B.S. in Marketing with certificates in Supply Chain Management and IT. Darren is developing an expertise in social media marketing having worked as an intern at Socialike, a social media marketing firm in New York City, and as a consultant he manages the social media profiles for companies in various industries. During the summer of 2017, Darren will intern in the Advertising and Sales Division of 20th Century Fox, New York City. After graduation, he plans to couple his marketing degree with his knowledge of supply chain management and information technology to work within the sports and/or media industries. Basketball is his favorite sport but is an avid fan of most professional and collegiate sports. Darren lives in Potomac, Maryland a suburb of Washington, D.C. The best part about working on the Fox Spots Go project was the incorporation of everyone’s ideas to come up with many great additions to the app, regardless of favorite sport or level of sports knowledge. As an avid sports fan who is always on the move, it has been difficult to stay up to date on all of the games I’m interested in watching. Being able to contribute some personal additions to a mobile viewing app was an opportunity I’ve dreamed of having for awhile! Types of projects such as these show the true value of experiencing a Stillman School of Business education. Frank grew up in Manalapan, New Jersey where he attended high school and played ice hockey. He will graduate from Seton Hall University in May of 2018 from the Stillman School of Business with a concentration in Marketing. When he graduates, Frank plans on pursuing an analytical role in the marketing field. 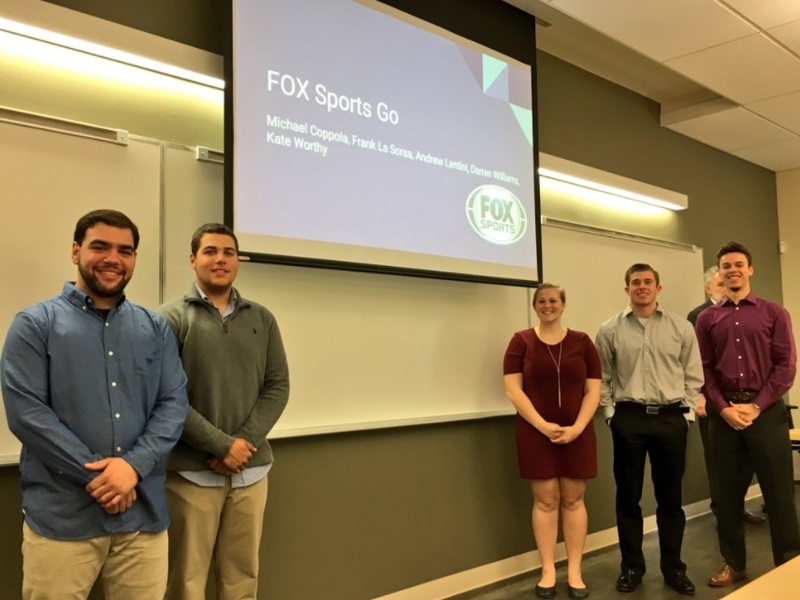 The Fox Sports Go project was refreshing and unique because of the freedom it allows and the importance it holds. I really enjoyed the challenge of competing against and motivating our classmates in a real world situation. 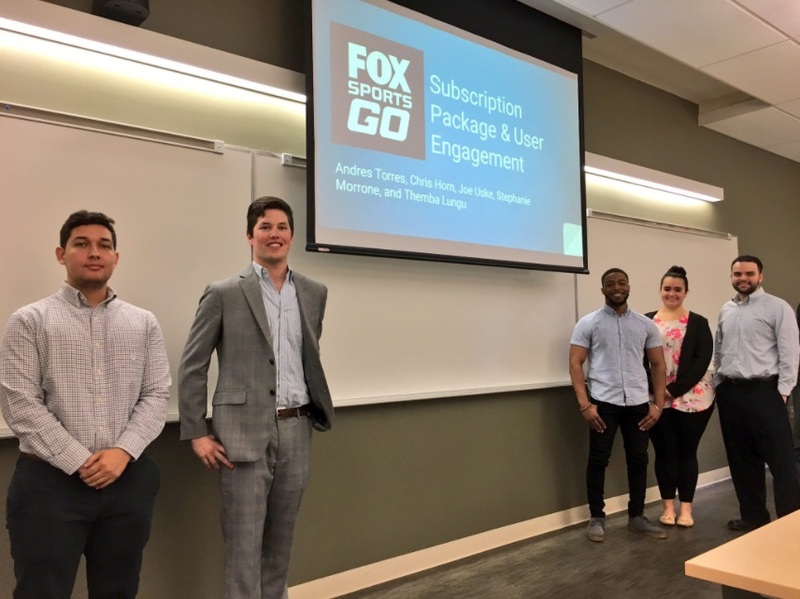 FOX Sports U students in the Stillman School of Business at Seton Hall were challenged to develop creative strategies that add value to the offering of FOX Sports’ TV Everywhere App, FOX Sports GO.